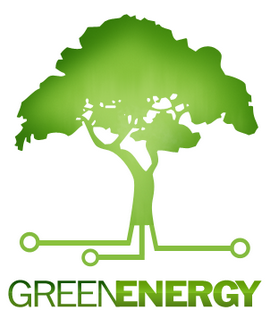 Investing in Green Energy | Investing in Green provides information for sustainable business. The news is everywhere; renewable energy is the future of the world. Nature’s own resources are being harnessed to produce energy that is considered to be clean and less harmful to the environment when compared to other sources of energy like fossil fuel. Over the years, investment in renewable energy went to an all time high with hopes of the world transitioning to using these energy resources. The shares of many companies involved in the renewable energy sector benefited from the new interest in green energy and soar to an all time high. 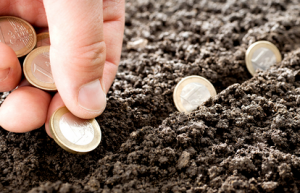 Many investors rushed to grab a piece of the cake and automatically became green investors. Now after so many years, the outlook on the green industry is gloomy. The economic downturn has not helped matters and for a sector that thrives on government subsidies, it is beginning to waver as governments are forced to make cuts. This has reduced the excitement that once fuelled investment in renewable energy. To further compound the problem, major investors in the sector are threatening to leave if governments of partner country don’t respect their own side of the engagement that is providing subsidies. If this threat was to become a reality, then it may mean the end of the green energy sector. Although it could be argued that companies in the renewable energy sector are not the only ones in the green investment sector, they are nonetheless the biggest players. If you look keenly, you will find that many of the stocks of the major renewable energy companies have plummeted from when they first got enlisted in stock markets. There are investors who have lost almost all of their investments as a result of the fluctuating markets. But why change the lookout for such a sector that once looked so promising? First of all, the success of the telecoms industry is not helping matters. Most investors are having a field day from investing in telecom. This has shifted the focus from other industry sector. Also, most of the industries rely on subsidies an aspect that may not be too appealing to investors. Also with the prices of fossil fuel on a rise, other industrial sectors like metals are also going to increase. If renewable energy was to expand, it would need metal thus driving the price of metal even higher. It becomes then difficult to predict the climate for investment in renewable energy in the years to come. When it comes to green investments there is a problem with defining what is green. Green investors invest in green companies but how would we define a green company? When trying to answer this question, you find yourself at a dilemma as the criteria for deciding what a green company is doesn’t seem clear enough. From the point of an investor, ethical practices and the use of green material may be the right way to go. But before investing into such business, the primary preoccupation will be whether there will be profits. Any smart investor will assess a company on its performance and not on whether they carry a green label. Recently, some smart companies have gotten the trend the world wants to follow and they are doing all they can to let all who cares to know that they have the best ethical standards and maintain only activity that ensures no harm to the environment. Yet it is still hard to say with confidence if this should be the right definition for a green company. If it is, then it means it is possible for any company out there to be called green. Naturally, it would be better to say that companies that are considered green are those that are taking the necessary precautions to ensure that their activities produce minimal harmful effects to the environment as well as the human resources. Since fitting the definition can be controversial, it is better for potential green investors to put their own guidelines that will help them determine what a green company is. As it is, there are conflicts of interest that could arise. For example although companies are expected to release their carbon footprints, very few are open to give out this information. It could be nice for green investors to also consider things like a company’s fairness policy, salaries of employees, supplier relations and corporate social responsibility. Growth in the green industry is very variable with industries that are doing quite well and those that are barely surviving. The investment climate in the industry is looking bright. If governments and the civil society will put more pressure on companies to adopt cleaner energies and be open to disclosure then it is the only hope that the growth continues. At the end of the say it is still difficult to answer the question, how green is green? The times are changing and they are changing really fast. People’s views about basic facts of life have not changed. No one is really excited about driving luxurious cars if the effect on the environment is simply hazardous. This has caused many people to start living off grid – a way to say that enough is enough. As more people start living off grid, the demand for sources of clean energy will increase. Smart investors should start investing in green energy and there are many reasons why this is a powerful advice. Government subsidies: if the renewable energy is still alive today, it is thanks to the intervention of governments. Subsidies given to companies in the renewable energy sector have helped these companies to survive. Consumer behaviour: The entire world is going green and everybody is now cautious of not being responsible for the environment. Increasingly more companies and households are turning to sources of renewable energy. The number is only expected to rise and anyone investing in green energy now will surely reap the benefits soon enough. Price of fossil fuel: oil prices are continuously on the rise as fossil fuel products are becoming rare. This hike in price of oil is affecting other associated industries like the steel and transportation industries. Many top oil producing countries are under some form of unrest. Governments are looking for ways to find new sources of energy and not the other ways that are the present inexhaustible renewable energy sources. Carbondioxide emission: there is no denying that the climate of the earth has changed drastically. This is evident in the many floods and scarcity around the world. The goal of most nations is to reduce carbondioxide emission which is a main gas that causes the greenhouse effect. Renewable energy is cleaner than fossil fuel energy and this is why governments through major players in the sector are investing in green energy. The renewable industry is just recently gaining its population and it is already increasing. At present, it could be considered high end for the man in the street but eventually advances in technology will sure help reduce this cost. Many people are investing in green energy because they have the foresight to know that it is the future. There may not be possibility to make millions from your stocks now. 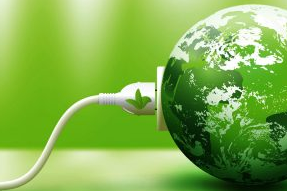 However, the future is bright for green energy as the products of the industry become more widely used.